Rockstar has finally issued a public response to the recent accusations of poor working conditions at its studios, saying that the complaints are nothing but "the opinions of a few anonymous posters on message boards." Attention to the alleged plight of workers at Rockstar San Diego first came to light when a group of "Rockstar Wives" published an open letter accusing the studio of overworking and undervaluing its staff. The studio has been in "crunch mode" since March of last year, it claimed, with employees working at least 12 hours a day, six days a week, while at the same time salary increases have been minimal and benefits have actually been cut. Rockstar denied the allegations in an internal email that was quickly leaked to Gamasutra, but some commenters claimed that its offer of "support" for disaffected workers was too little, too late. Now, almost two weeks after it all began, Rockstar has taken the same basic approach in its first public comments on the matter. "As for the stories spreading around the internet, yes we have noticed them," the company wrote in the "Asked & Answered" section of its website. "Unfortunately, this is a case of people taking the opinions of a few anonymous posters on message boards as fact. 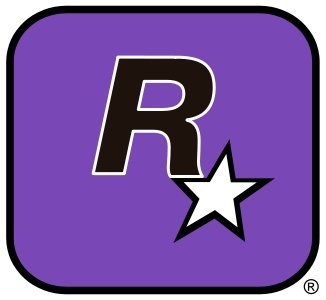 No business is ever perfect, but Rockstar Games is a tight knit team made up of around 900 supremely talented and motivated professionals, many of whom have worked here for a very long time." "We're saddened if any former members of any studio did not find their time here enjoyable or creatively fulfilling and wish them well with finding an environment more suitable to their temperaments and needs, but the vast majority of our company are focused solely on delivering cutting edge interactive entertainment," the statement continued. "We've always cared passionately about the people working here, and have always tried to maintain a supportive creative environment. There is simply no way Rockstar could continue to produce such large scale, high quality games without this. That being said, making great games is very challenging, which is why we have and will continue to try to keep hold of some of the best talent in the industry and support them in every way we can." It's a predictable approach - deny, shift blame, cast some gentle aspersions - but also a potentially valid one. A few Rockstar employees, under cover of the internet's anonymity, have spoken out against the company, but as a group they have thus far remained silent. Without any semblance of a unified complaint, Rockstar's position that all the noise is coming from a small handful of malcontents is difficult to dispute.